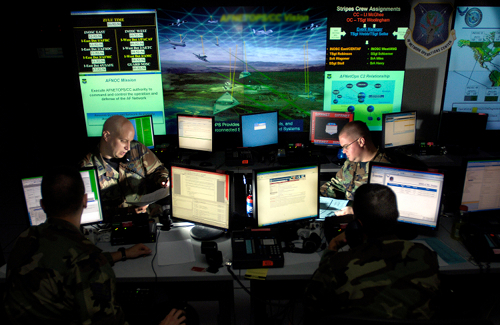 Cyber Weapons: Are They The Deadliest Means Of Modern Warfare? Chinese offensive capabilities in cyberspace are more effective than ever and are the subject of interest by the international community which fears the rise of China as a technological colossus. The Pentagon is convinced that China is investing heavily in an effort to improve its cyber stature and ability to conduct offensive operations. After violent demonstrations in China against Japan, a series of cyber attacks hit the websites of the Japan’s Defense Ministry, Internal Affairs and Communications Ministry, and the Supreme Court including Japan’s Statistics Bureau and Banking networks. Iranian government recently conducted a major cyber attack on a major U.S. financial institution. The attack, although was unsuccessful – exhibited how Tehran has emerged as a strategic threat to U.S. cyber systems that control critical infrastructure such as military systems, financial networks, communications, the electrical power grid, transportation networks, and other vital functions. South Korea since 2009 has cyber warfare command to work on Internet hacking prevention, cyber security, and restoration of damaged networks and carries out military operations in cyberspace in cases of emergency. North Korea is reported to have a strong cyber warfare unit staffing more than 3000 people under the command chief of country’s intelligence agency. It has nation’s most gifted young people to work as professional hackers and get involved in other cyber warfare activities. The question arises should not there be an international instrument to govern cyber warfare activities among countries of the world? Previous PostThe lives of Michigan residents are about to improve: nearly $1 billion in defense contracts granted!Next PostNASA’s Ultimate Space Wi-Fi (LCRD) passes Mission Concept Review with flying colors! Hello, i believe that i saw you visited my blog so i got here to “go back the favor”.I’m trying to to find issues to improve my web site!I guess its adequate to make use of some of your concepts! !